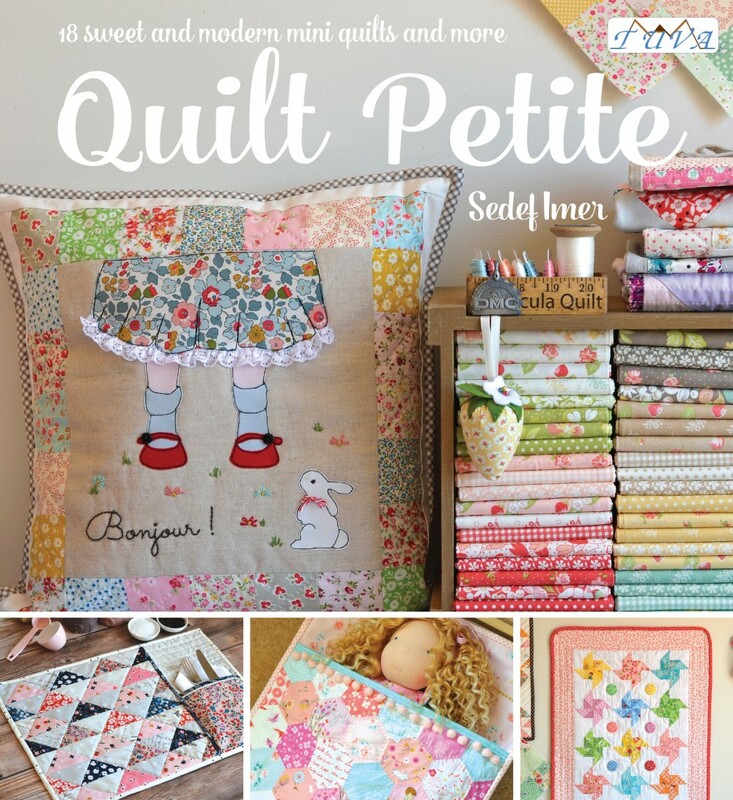 to promote her wonderful new book, Quilt Petite. 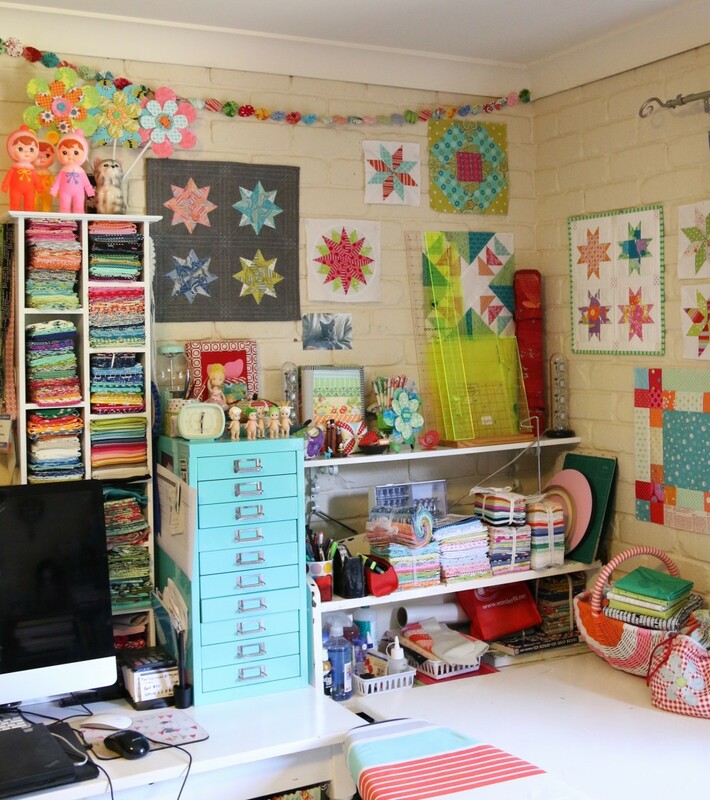 creations that the other members of the blog hop have made. 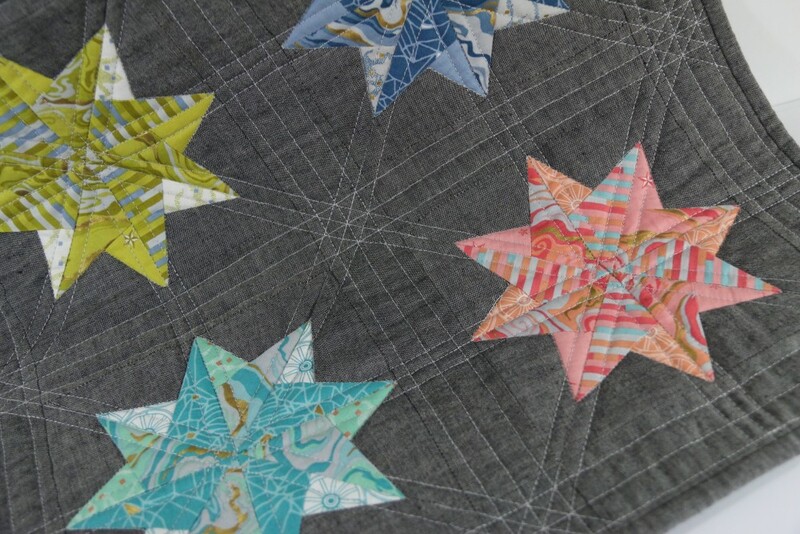 I choose to make my own version of the Scattered Stars, creating a mini quilt for my sewing room wall. 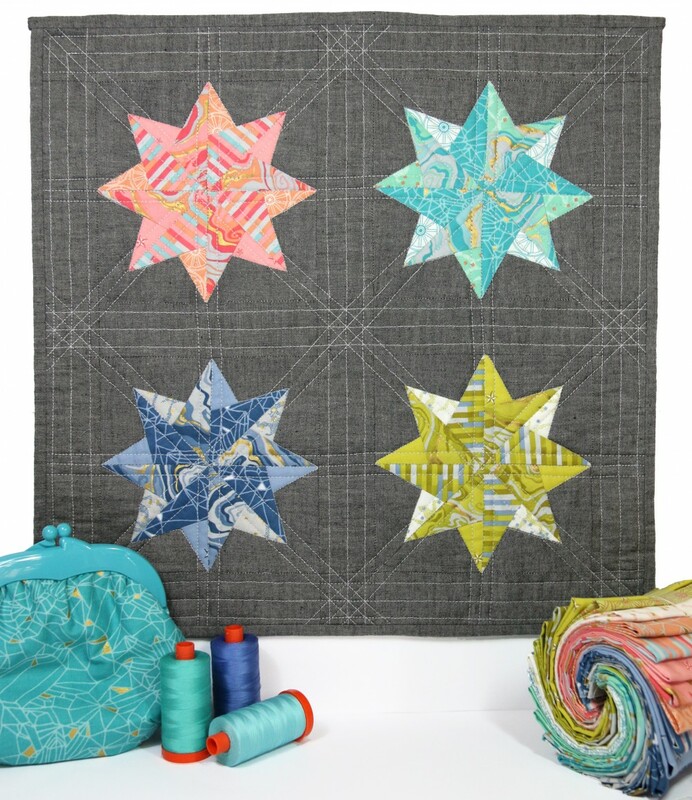 I teamed up my lastest fabric range Eureka with some Andover Chambray. 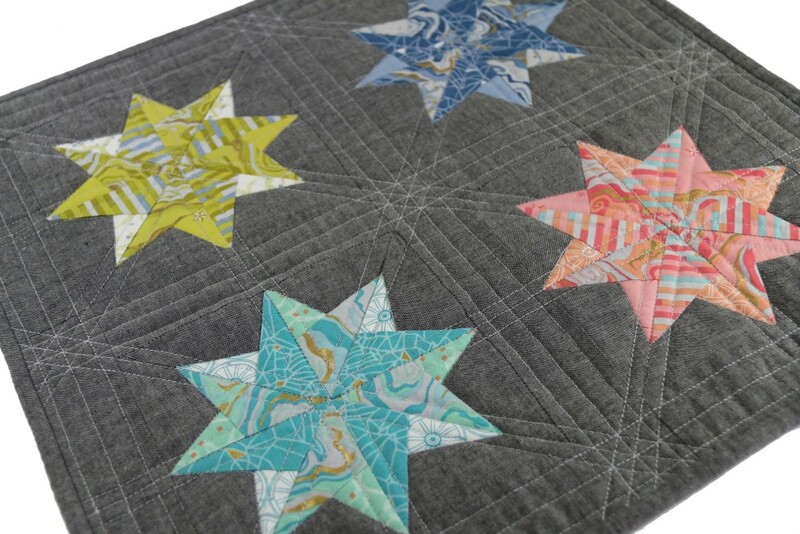 I also choose to do lots of straight line quilting in a light gray thread. piecing and it was easy to translate Sedef's pattern to this method. 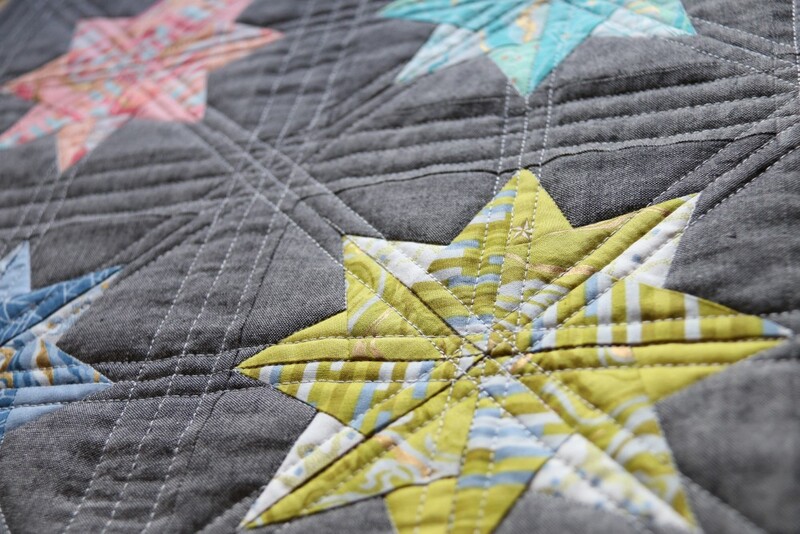 get to look at it while I am sewing. Congratulations Sedef on a delightful book!! LINDA: HI, THANKS for sharing!